Himachal Pradesh (HP) is one of the northern states of India and is located at Latitude 30o 22' 40" N to 33o 12' 40" N and Longitude 75o 45' 55" E to 79o 04' 20" E. It is located at the foot of the Himalaya which is famous for its snow capped hill stations and winter sports including skiing. 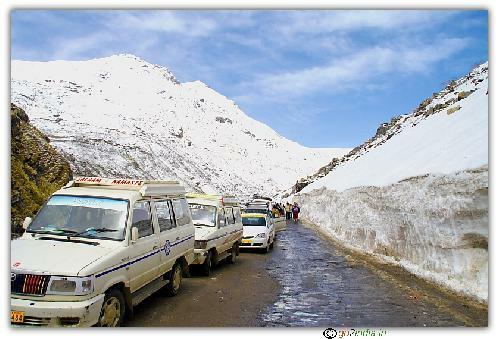 Himachal Pradesh is well connected by road and you can enjoy drives passing through beautiful valleys and rivers. 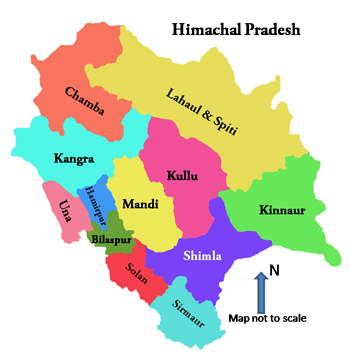 Himachal offers various types of attraction to all types of tourist. If you have less time then just spend 5 days from Delhi or Chandigarh or from Kalka to visit the most popular Shimla and Manali tourist circuit. 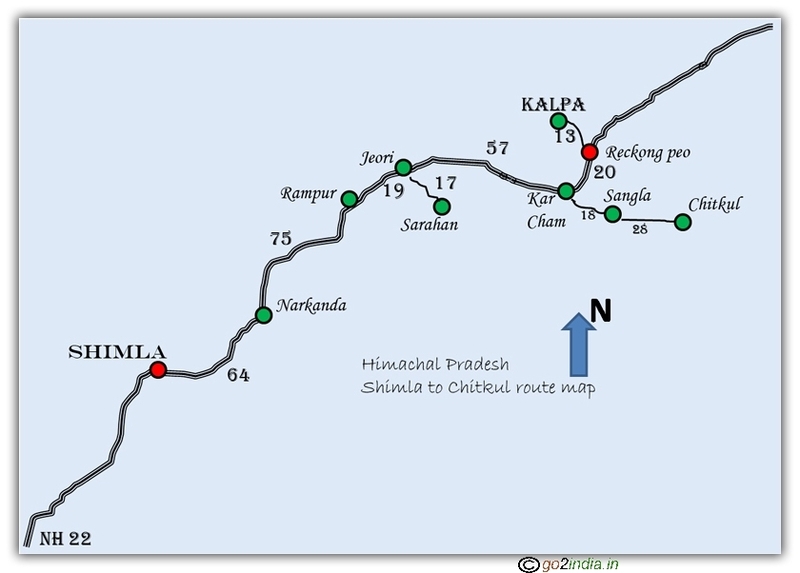 Here are some of the important hill stations and places to visit in HP. Kinnaur district is famous for majestic Kinner Kailash hills. This area is famous for Apple & major tourist places are Sangla, Chitkul, Reckong Peo and Sarahan. We don't offer any package tours. 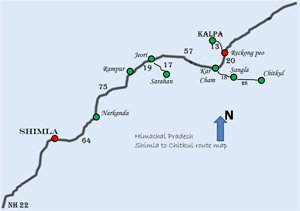 We have compiled a set of tours to help you plan your visit to various places around Himachal. Please note that these are suggestions only and you can alter or adjust them based on your requirement or after discussing with your travel agent. 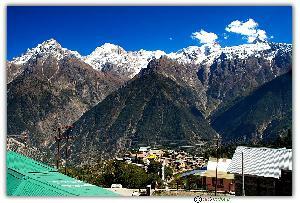 Kinnaur is a border district of Himachal state. Located in the North side of Shimla district, this place has beautiful valleys, snow capped mountains, rivers, apple gardens, temples, monasteries and many more attractions. You can travel to these places from Shimla. Minimum of 6 to 7 days are required depending on your taste and planning. At Narkanda you can visit Hatu peak and move to Sarahan to visit Bhimakali temple. From Sarahan move to Sangla valley and take a day break at Chitkul the last village of Indian side of Indo - Tibet border. 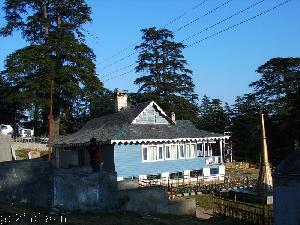 if you like natural place then prefer only dalhousie. manali so..so.. and shimla is like a city.so if you want to stay in himachal the best stay is only dalhousie.. go and tell me am i right or wrong? Dalhousie, Shimla are good places but there is no comparison with Manali. 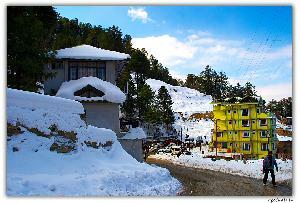 All types of enjoyment and beauty are available at Manali. I LOVED TO VISIT TEA GARDENS OF PALAMPUR NEAR TO DHARAMSHALA, SAURABH VAN VIHAAR, MAAN CHAMUNDA JI, VIVEKA FOUNDATION FOR MEDITATION AND AYURVEDIC HEALINGS MOST. I WOULD LIKE TO VISIT PLACE AGAIN AND AGAIN. HOSPITALITY OF LOCALS IS FABULOUS.